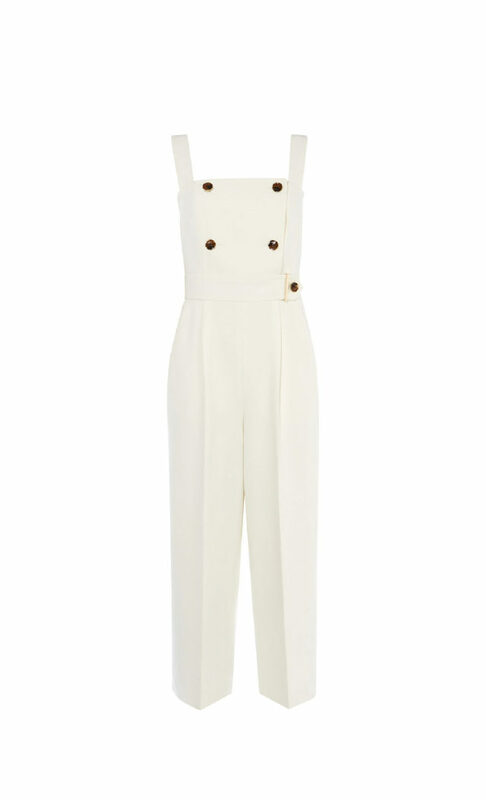 For the days you just can’t face your pencil dress, this jumpsuit is your hero. Smart, sharp and easy to style, the fitted belt pulls in your waist and contrasts with the wide-cut leg to perfect your silhouette. Finished with tortoise shell buttons, you’ll feel instantly pulled together in this.